Enabling Location tracking on our device can be useful and we all know the importance of enabling Location tracking feature. But at the same time, it has its own disadvantages. Location tracking helps deliver useful services to us. about our location. For example, you could use Google Location Services to find the nearest restaurant to you or get a cab ride in your locality. However, this means that anyone with the right tools can monitor your movement. You can as well disable this feature if you want to. Note that leaving location tracking ON can also help you find your lost smartphone. 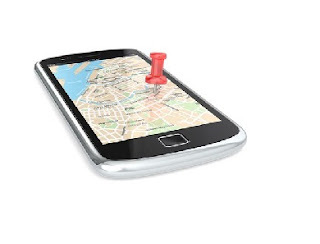 You can follow below guide to turn off location tracking on Android, iPhone and on the web. On that page, locate and tap on Pause Location History. You will see a pop-up which points out the things you will disable and an option to delete your location history. Tap on the switch in the top right corner. This will turn off location services. Go back to Location > Google Location History. Tap on the switch on the top right of the screen to turn off location history. If you want to delete your location history altogether, tap on Delete Location History under Location History. Note that you cannot recover your location history if you delete it. You can only delete location history if you have any. If you want to turn off location tracking on your iPhone, go to Settings > Privacy > Location Services. There you will find a list of apps that shows whether the app accesses Location Services and if the app used your location data recently. Turn it off for any app you want to. Also, you will find an option called screen services. This allows you to turn off location tracking at system level. Go to Settings > Location > Google Location Settings. Tap on Location Reporting and turn it on. Tap on Location History and turn it on. Go to Settings > Privacy > Location Services and use the buttons to turn the service back on. I hope you find this useful. Why not take a minute to share this post? Disable location tracking on Android phone. Disable location tracking on iPhone. How to disable location tracking on the web. No way am turning on the location on my phone. I don't like that thing.